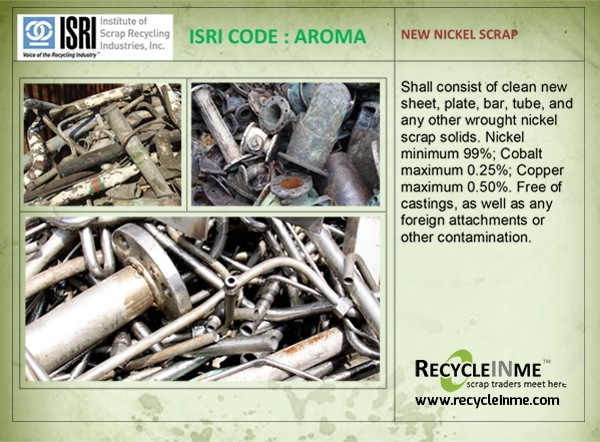 ISRI CODE : AROMA consist of clean new sheet, plate, bar, tube, and any other wrought nickel scrap solids. 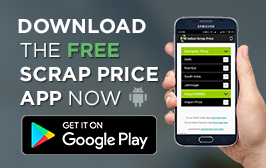 Nickel minimum 99%; Cobalt maximum 0.25%; Copper maximum 0.50%. Free of castings, as well as any foreign attachments or other contamination.